Handmade multi strand bracelet, made by me. Bracelet is adorned with Hammered Copper Rectangles, gorgeous seed beads and metal seed beads. Amethyst Rondelle Gemstones are sprinkled throughout the bracelet to add a touch of purple. 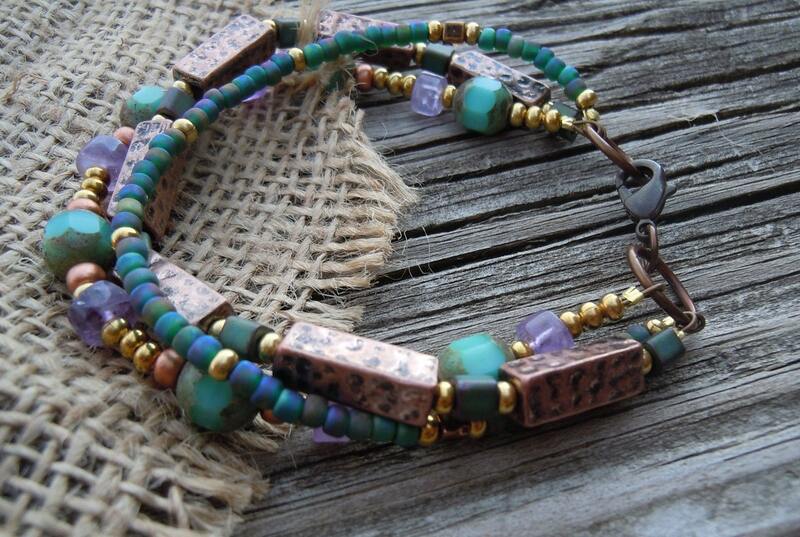 This lovely mix of metals complement the combination of greens blue and purples through the entire piece. Bracelet Measures 7 3/4 inches in length with a Lobster Clasp closure.